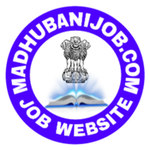 Post Name:- SSC Stenographer Online Recruitment Grade C &D Result & tentative Vacancy List Released 2019. Short Information:- Staff Selection Commission SSC Are Invitation To Online Application Form For Recquitment Of Stenographer Grade 'C' (Group 'B', Non-Gazetted) And Stenographer Grade 'D' (Group 'C') 2018. for Various Ministryes/ Department/ Organisation in the Government of India Those Condidates Are Intrested Read The Full Notification And Apply Online Application Form Stenographer 2018. Last Date For Apply:- 20-11-2018 up to 05:00 P.M.